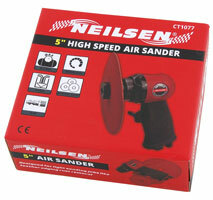 Air hose size - 3/8in. 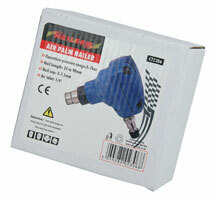 BSP air inlet - 1/4in. 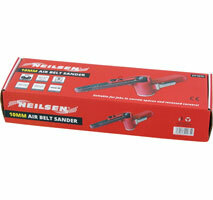 Air Sander - 5 and 6in. Built in speed regulator with side exhaust. 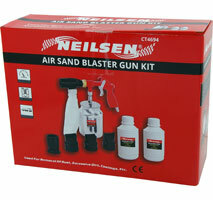 For light sanding jobs like feather edging rust removal. 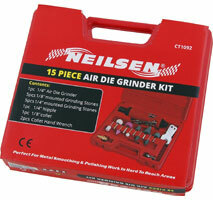 Air inlet - 1/4in. | Air hose - 3/8in. 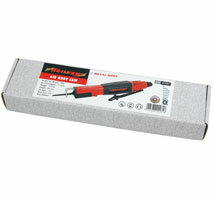 Used for removal of rust and excessive dirt or paint. Suitable for use with corundum - grain size of 46 to 100. 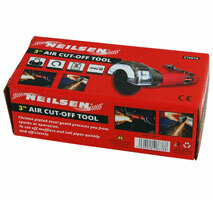 Ideal for automotive body shop applications on all metallic surfaces. 30lb Capacity seamless polyethylene hopper with 5ft rubber hose. 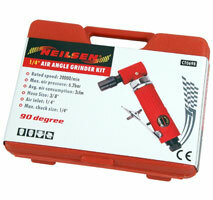 With Safety Glasses / Oil and Hex Keys. 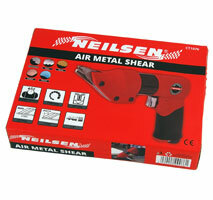 Adjustable control for Nail Depth. Lightweight Die Cast Body with 360 degree adjustable exhaust deflector. 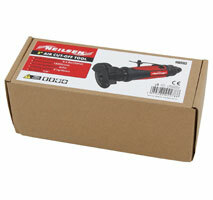 One piece drive blade Non-marring Barrel end with Rubber grip. Safe for Touch and Strike Systems. 400 conical wire welded nails. 200 plastic sheet collated nails. Adjustable firing mode and depth. Operating Pressure : 70-120 psi / 5-8.3 bar. 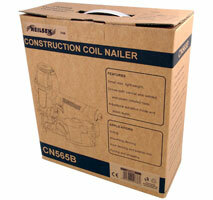 Nail Range Length : 25 - 50mm / Shank 1.59 - 2.1mm. 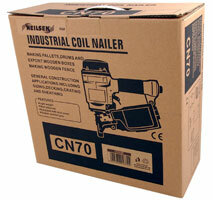 250 - 400 conical wire welded nails. Operating Pressure : 70 - 120 psi / 5 - 8.3 bar. 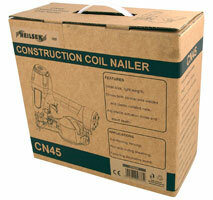 Nail Range Length : 45 - 65mm / Shank 2.3 - 2.5mm. Nail Head diameter : 5.0 - 7.0mm. 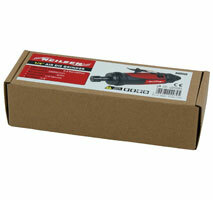 Nail shank diameter : 2.3 - 2.9mm.